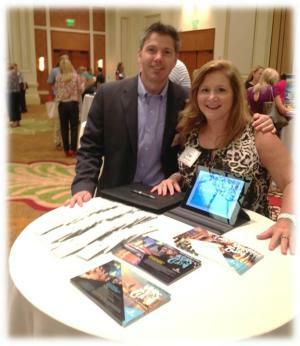 Visit Tampa Bay, Adam DePiro, Director of Convention Sales & Lisa Chamberlain, CMP, National Sales Manager attended for the first time the relationship driven show, HPN [Hospitality Performance Network] Global Partner&apos;s Conference- in Marco Island last month. HPN Global Partners Conference brings together corporate conference planners for a week of professional development and camaraderie. This is an invitation only event and attendance is limited. HPN is a 3rd party meeting planning company and think of themselves as a "boutique" 3rd party. There were about 350 total guests made up of their senior leadership, associates, hotel partners and destinations that attended and Visit Tampa Bay sponsored their "Best Practices luncheon & had an opportunity to briefly present to a group of HPN associates. Attending the HPN Global event supports Visit Tampa Bay strategic focus on intermediary relationships and it’s always great to come back with promising RFP&apos;s received during the trade show. Until the next time stay tuned for more updates on Visit Tampa Bay meetings and conventions.